If you’ve ever wondered what makes sweet treats like pancakes, cinnamon rolls and doughnuts so fluffy, the secret is buttermilk. Buttermilk is the milk that results from churned butter, and has a distinctly sour flavor similar to yogurt. If you don’t bake often enough to justify the purchase, a buttermilk substitute is incredibly easy. 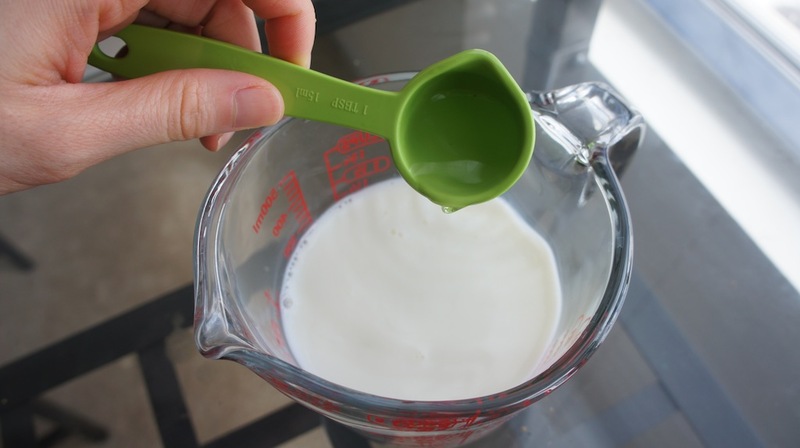 Milk and an acidic liquid (like vinegar or lemon juice) mix together to create a sour milk that works much like actual buttermilk. This recipe makes one cup, but you can adjust the quantity; just keep the same ratio. 1. 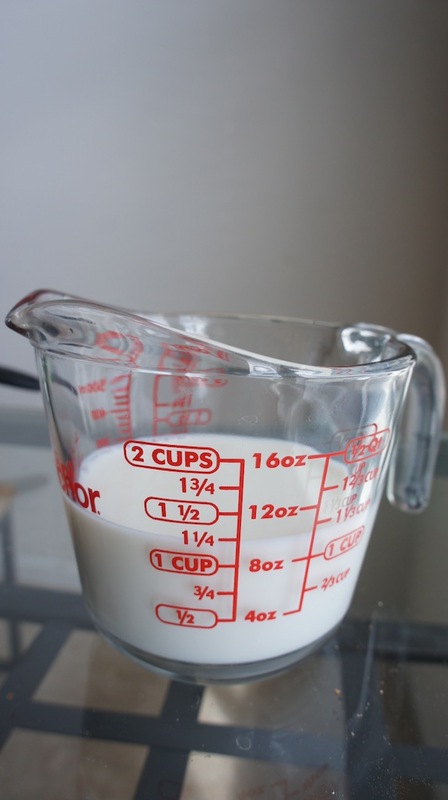 Measure milk into a measuring pitcher or large mug. 2. 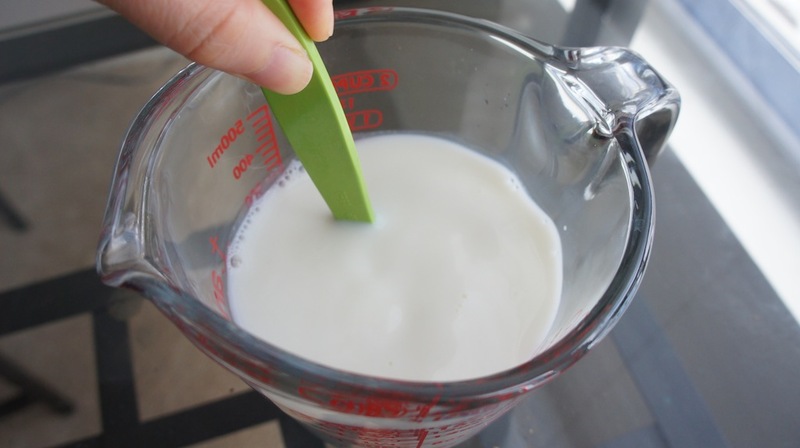 Add vinegar or lemon juice to milk and stir. 3. Allow milk to sit for at least one minute. After a minute, it’s ready for use.